Located in the vicinity of the city center, Vistana Kuala Lumpur Titiwangsa offers luxury rooms where guests can experience the simplicity and efficiency of staying. With its convenient location, the hotel has close proximity to the business districts of the Putra World Trade Center, Golden Triangle, and the Kuala Lumpur Convention Center. Guests are able to reach KL Monorail, Ampang Line, Titiwangsa Lake Garden, and The Kuala Lumpur Performing Arts Center within a short distance. At Vistana Kuala Lumpur Titiwangsa, all rooms are beautifully furnished and equipped with modern facilities such as Wi-Fi, an iron, refrigerator, hairdryer, bathroom essentials, 24-hour TV channels, safety deposit box, and coffee/tea making facilities. To ensure that guests are having a good time during the stay, the hotel also offers recreational facilities such as a swimming pool and gym. 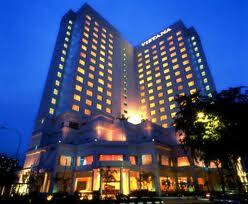 With an ideal location and facilities to match, Vistana Kuala Lumpur Titiwangsa hits the spot in many ways.